There are 2 things that happen in government office transactions that I don't really like. This is always a given no matter what government agency you are in. 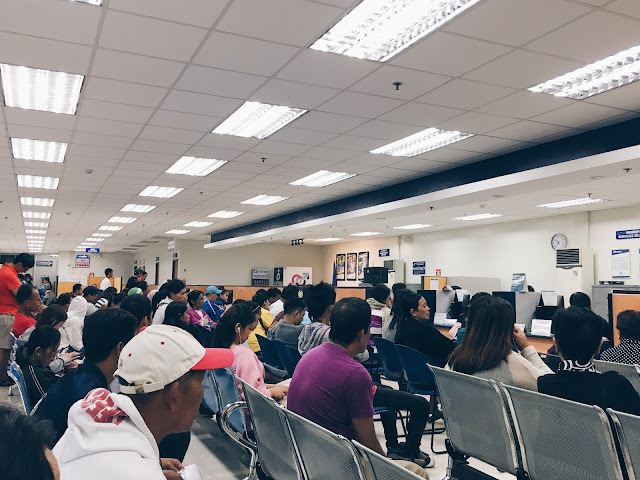 Even if there are already computers and tablets to help speed up transactions, you'd still end up in a long queue -- all the time. Have you ever patiently waited in line only to find out that someone who just arrived gets to transact ahead of you? People always find shortcuts. They look for someone they know and they try to get ahead of everyone. These 2 are my government office pet peeves. I must admit I have also been guilty of the 2nd one. But, that's just because I can't help it when the employees I know would insist. But, if it was just me I wouldn't mind patiently waiting in line and do it the right way.